Now it is officially certified! 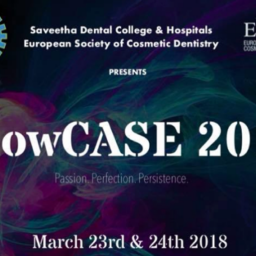 We Europeans do not need to travel anymore to the US to attend to high-level, aesthetically breath-robbing, top-performing Esthetic Dentistry Congresses for the whole dental team. 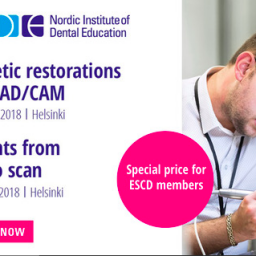 Following the tremendous 1st Meeting in Barcelona in 2004, this Congress in Berlin 2005 has shown a concentration of top-speakers in Dental Aesthetics, which has transformed the ESED-Meetings probably into the most interesting event of the Year in Europe for Dentists, Dental Technicians and Dental Teams who seek excellence in Esthetics. 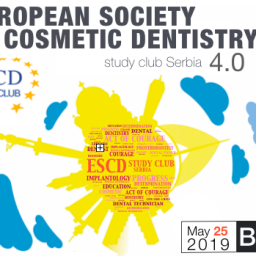 Under the slogan “Art and Science in Esthetic Dentistry”, we attended to a parallel meeting of the ESED and the German Society of Dental Implantology (DGZI) in one and the same super-sized place, the Estrel Hotel & Convention Center in Berlin, Germany. 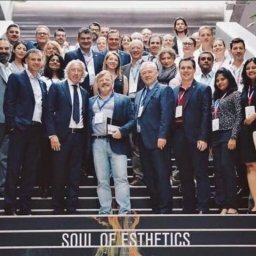 We met dentists and dental technicians from 19 different countries, all together united by the same cause Esthetic Dentistry”. Imagine the interesting conversations we had during the coffee-breaks and the lunch buffets. 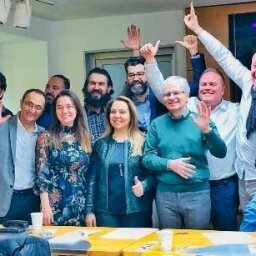 Imagine the exchange of ideas, different techniques and different views of the same problems we could collect from all these colleagues, a part of the precious hints we received from lecturers from all over Europe and the US. And also imagine the multi-cultural “fiestas” we had late night – a part of the Congress-Party “Stars in Concert” on Friday Night. 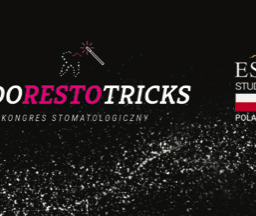 From September 29th to October 1st, there was no other issue than Esthetic Dentistry in Berlin. Starting with the “No Dentists Allowed”-Session on Thursday, which was – not surprisingly – full of dentists, with Elliot Mechanic and Annie Beaulieu from Canada, who exposed their strategy of “marketing” esthetic services to the community. Most of the attendees introduced at least two or three of these ideas immediately into their offices. On Friday, the podium was conquered by Ceramics and Implants in four different lectures performed by Klaus Mueterthies from Germany, Luc & Patric Rutten from Belgium, Christian Stappert from the US and Daniel Edelhoff & Oliver Brix from Germany. All of them masters of their fields and showing deep knowledge and understanding of the topics, and, which is more important, showing their skills in an understandable manner. On Saturday we had a show-up of the Bondings, Composites, Minimal-Invasive, Implants and Orthodontic-treatments. Again we could learn from the best. Edward Lynch from Ireland, Luc Portalier from Abu Dhabi, Bart van Meerbeck from Belgium, Robert Fuhrmann from Germany, Marcus Abboud, also from Germany, George Freedman from Canada and David Hoexter from the US showed their view of the topics during this long day. They gave us a great overview of the past and present and some outlooks of the future. We are ready for it to come. All together it has been a wonderful experience, not only to get to know old and new techniques, already known and familiar therapies with small but effective modifications. 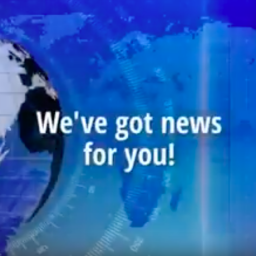 But it has also been a perfect place to interact with other countries, say “Prost” to your colleague and live an experience we have only lived in the US until now. 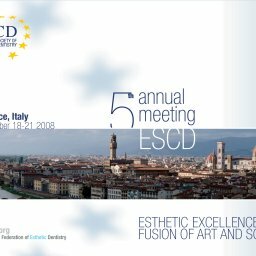 #16 ESCD Annual Meeting: Registration is now open!